Lead acquisition is the primary reason most companies invest in exhibit marketing. But what happens to those leads once they're acquired? And what percentage of those prospects ultimately become customers? To help you benchmark your efforts and improve your organization's management of these critical assets, here are eight tips – all based on hard data – to improve lead follow-up and ultimately increase your conversion rates. Follow up on leads within two days of a trade show. According to the 2014 Lead Response Report from InsideSales.com, between 35 and 50 percent of sales ultimately go to the vendor that responds first. And data from EXHIBITOR Magazine's 2015 Sales Lead Survey indicates that 62 percent of exhibiting leads are contacted within five days. So if you hope to be among the first companies to contact prospects, you may want to reach out within 24 to 48 hours of the show, as only 22 percent of exhibitors respond within that time frame. Time your post-show communications correctly. A 2015 VentureBeat Insight Report, which surveyed 257 email marketers, determined that incorporating some form of personalization results in increased click-thru rates. So if you're among the 52 percent of exhibitors who follow up on leads via email, then, consider a personalized missive sent on Tuesday, Wednesday, or Thursday morning. However, if you're among the 33 percent of companies who respond to trade show leads by phone, heed the advice of James Oldroyd, Ph.D., visiting research fellow at the Massachusetts Institute of Technology, who compiled three years of data and determined it's best to contact prospects via phone on Wednesday or Thursday. Only pass along qualified leads to your sales reps. Spending time hopelessly pursuing dead-end leads is a roadblock in itself. Yet the 2015 Sales Lead Survey found that 69 percent of face-to-face marketers pass along all leads to sales without first vetting them to determine whether or not they're qualified. But according to Gleanster LLC, only a quarter of marketing leads, on average, are actually qualified. So instead of dumping every lead form and routing each badge scan, consider sending your sales reps only the leads that meet certain criteria, allowing them to focus their energy on the prospects most likely to purchase. To help you quickly and efficiently vet leads, establish a lead scoring or ranking system in tandem with your sales reps and prioritize the criteria most important to them, such as budget, purchasing authority and buying time frame. Establish a three-touch minimum for all trade show leads. Data from SiriusDecisions Inc. shows that the average salesperson only makes two attempts to reach a prospect before giving up. But according to the Center for Exhibition Industry Research, 54 percent of sales made with a trade show lead require three or fewer calls to close. (Meanwhile, 61 percent of sales initiating from sources other than trade shows require more than three sales calls.) So it would behoove your firm to establish a three-touch minimum expectation for leads sourced at exhibitions and other events. Nurture leads through ongoing communication. 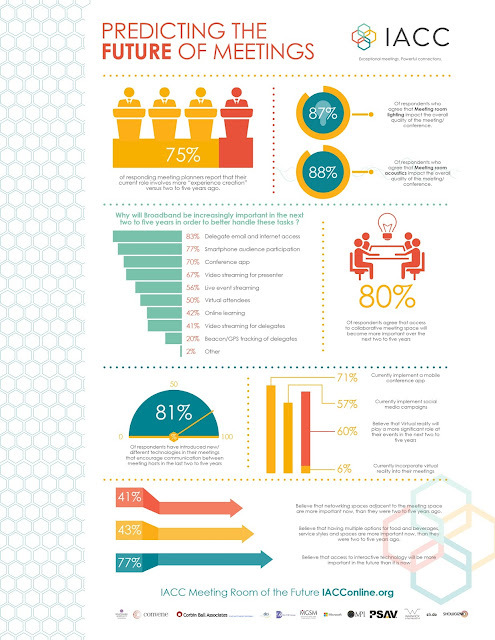 According to the 2015 Lead Nurturing Benchmark Study, nurtured leads tend to produce a 10- to 20-percent increase in sales opportunities versus leads that are discarded if they do not convert within a specified time frame. Furthermore, Forrester Research Inc. found companies that nurture leads make 50 percent more sales at a cost that's 33 percent less than leads that are not nurtured. Still, according to the 2015 Sales Lead Survey, only 16 percent of companies nurture prospects indefinitely or until they become clients. Consider adding all show-related prospects to a database for regular follow-ups so that when those buyers are ready to make a purchase, your brand is still top of mind. Automate your organization's lead management. Research from Gartner Inc. claims companies that automate lead management see a 10-percent or greater increase in revenue within six to nine months. What's more, Carlos Hidalgo of The Annuitas Group claims businesses using marketing automation to nurture prospects experience a 451-percent increase in qualified leads. So if you're not automating your lead-management and nurturing processes, try investing in a customer relationship management system that offers those features. Ask current clients for referrals. A 2015 report from Influitive Corp. titled "What You Should Know About B2B Referrals (But Probably Don't)" claimed that based on surveys conducted with more than 600 business-to- business sales professionals, leads referred by current clients have higher conversion rates, take less time to close, and represent a higher lifetime value than leads sourced via other means. Still, fewer than 30 percent of B2B firms have a formalized referral program in place – and according to a statistic from Dale Carnegie and Associates Inc., only 11 percent of salespeople ask for referrals in the first place. This is troubling, considering research from The Nielsen Co. found that customers are four times more likely to buy when referred by a friend. Bottom line: Making it standard practice to ask current clients who they might be willing to refer during at-show meetings or in-booth surveys is likely to generate heightened returns,as it allows sales reps to open communications by dropping a name that may make new prospects stop and take notice. Send direct mailers instead of emails. Data from the 2015 Sales Lead Survey indicates only 5 percent of companies follow up with promising trade show leads via direct mailers, versus 52 percent who follow up via email. As such, you may be better served by eschewing email and employing a post-show direct mailer – or even a handwritten note. In fact, the Direct Marketing Association's 2015 Response Rate Report found that direct mail achieves a 3.7-percent response rate when sent to a pool of recipients from a preexisting, internal house list, and a 1-percent response rate when sent to recipients on a new-prospects list. That compares favorably to a .1-percent response rate for emails sent to either pool. 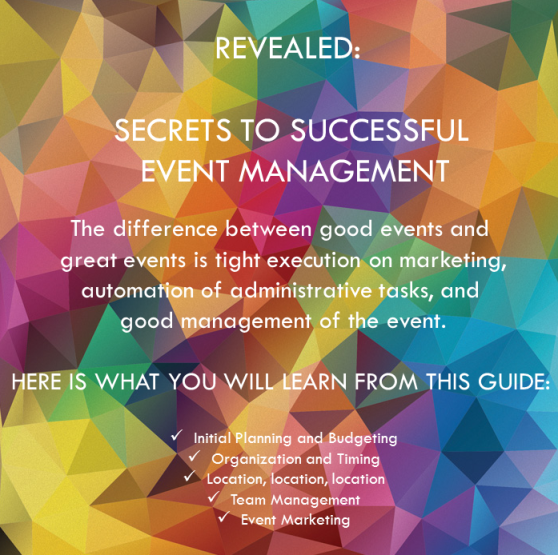 A critical step in the event planning process is to evaluate and prepare for potential security incidents. Event coordinators are skilled in taking every detail into consideration, with one exception--safety. Often emergency situations are left out of the planning process. Security is a necessity that should never be over looked. Oftentimes event management professionals put the emphasis is on the decor, food, lighting, speakers and visual details--however overall safety is often disregarded. Depending on the sensitivity of your event, you might even make some more formal requests, Alan Kleinfeld, an event professional says. Mac Segal, head of hotel and site security consulting at AS Solution advises choosing a venue with conference doors that can lock from the inside in case you need to keep someone out. Even for smaller, low-profile events, Segal suggests considering only venues that have their own security department, good alternative exits, tight access control and emergency response protocols already in place. He says it’s wise to prepare a security questionnaire outlining your requirements and send that to potential locations before choosing. Mellinger, whose company trains between 3,000 and 5,000 people each year—many of those meeting professionals—says he’s happy to see that more and more planners are spending time planning for disaster. In the past, when he asked training attendees whether they had contingency plans, only about 10 percent did. Today, he says, it’s about 50 percent. Whether that’s because of the prevalence of active-shooter situations that seem to frequently dominate news headlines or high-profile terrorist attacks around the world, Mellinger says people are finally starting to internalize what’s at stake. Unfortunately, some of the people in his trainings say they finally developed contingency plans because they were previously caught without one when they needed it. He advises meeting organizers to not learn the hard way. Savvy planners know that what takes place before, after, and in-between conference sessions can be just as valuable for attendees as the content itself. Clever, unexpected activities can make the experience more interesting for guests—and keep them talking about it long after the program ends. Here’s a look at six inventive activity ideas from a variety of conferences. Relate is a new conference series from software company Zendesk that is focused on exploring relationships and customer service. To tie to that theme, organizers offered a thank-you note station at the May event in San Francisco. The company’s in-house creative team designed witty cards and invited attendees to personalize them with a hand-written note expressing their appreciation to their colleagues. More than 300 cards were stamped and then mailed by Zendesk staff, and attendees took home an additional 1,000 cards and envelopes. At C2 Montréal in May, attendees stepped inside the “Channel” experience, where they could grab one of the phone receivers and have a conversation with another guest in the room. Organizers say the activity was intended to explore what it takes “to truly hear and be heard in our modern, hyper-connected world.” After the conversation, participants moved into a debriefing space to discuss the connection between the experience and their work. At Zendesk’s Relate conference, which took place in Sydney in July, the company created coloring books as a playful look at the complex relationships businesses and customers experience. Each illustration depicted two opposite forces—such as sun and moon, sea and space, etc.—along with a poem or joke that further explored those relationships. Attendees could color the books using colored pencils provided on tables around the event, and they also received a coloring book to take home in the conference gift bag. A picnic combines an alternative to traditional meal service with a networking activity. And when held indoors, a picnic can take place year-round. Organizers of the TED Conference, which was held in Vancouver in February, provided blankets and baskets filled with food for six people and invited attendees to find others to share it inside the Vancouver Convention Centre. With hundreds, or even thousands, of people in attendance at most conferences, it becomes an ideal opportunity to attempt to set a Guinness World Record title. The attempt creates buzz even if it fails. At the National Federation of the Blind’s 2015 conference in Orlando, 2,480 attendees participated in a successful Guinness World Record title attempt for the largest umbrella mosaic. The open umbrellas created the image of the organization’s logo and tagline, “Live the life you want.” The stunt was part of the association’s 75th anniversary celebration. Your company year-end function is as important, if not more so, than the other company events you host throughout the year. Proper planning will ensure that the expectations of your number one asset – your employees – are met. Step 1: Get management buy-in to the arrangements – this includes the objective, theme and budget. Step 2: Plan the theme and entertainment around the agreed objectives. Step 3: Decide on personnel demographic seating arrangements – a seating plan is vital to breaking down any barriers within the company and must be conducive to easy dialogue and interaction. Step 4: Timelines – At the very latest, the first three rules should have been agreed by mid-year. If this hasn't been done, start now! Step 5: Venue selection – The theme, entertainment, demographics, capacity of the gathering as well as transport and parking arrangements must be taken into consideration when selecting a venue. Hotels tend to be fully booked from October to December. You might want to consider alternative venues such as restaurants and clubs and work around themes that suit these venues. Step 6: Invitations, acknowledgement and reward – Make the invitations fun and indicate that the presence of the employee at the function will be important to the employer, and that the event is a reward and acknowledgement. Printing and writing their names on the card might be time-consuming so sending e-cards or even asking them to register via eventbrite are possible options. Step 7: Budget considerations – Although a budget is usually allocated at the very outset and line items added along the way, it should be regularly updated in order to ensure that any adjustments are taken into account. Step 8: Admin assistance – Ensure that there is admin backup. Prior to the function, internal personnel should be utilised in the planning, but on the day of the function ensure that company employees invited to the function are not expected to coordinate and organise on-site. 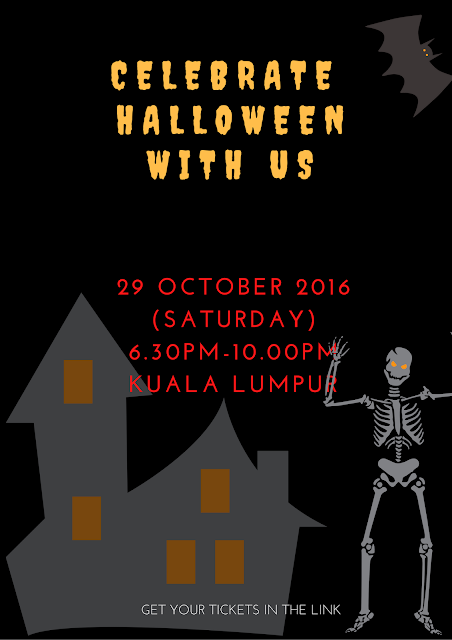 This is when the Event Manager who they've been liaising with all this while comes into full force. Step 9: Control and monitoring – Keep one person accountable for all impromptu decisions that has to be made. This person should be the only one updating the Event Manager on any changes. Step 10: Enjoy the party! 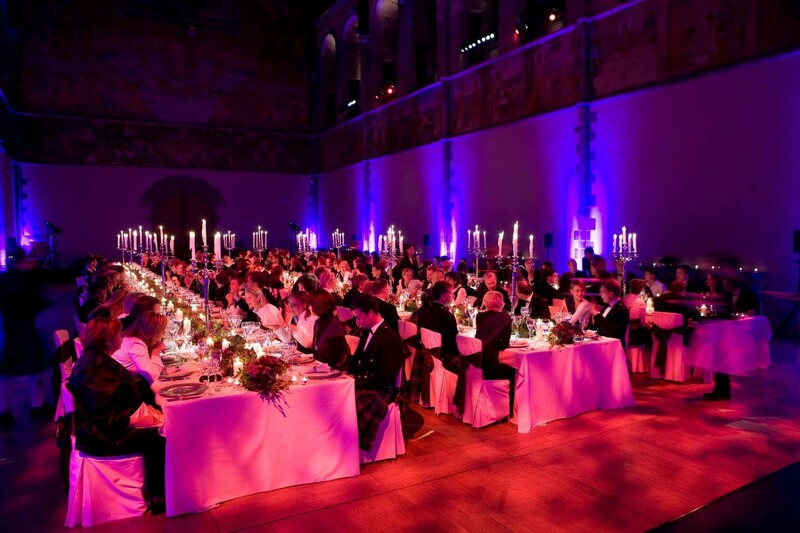 Have you invited your guests to the Gala Dinner? As the Zika virus continues to spread, here are five ways that event planners and others in the hospitality industry can take steps to keep their businesses on track. 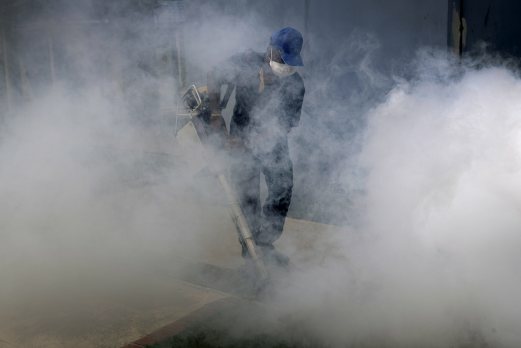 As the Zika virus spreads, its effects can be seen at mega events—where some journalists, and spectators have stayed away—to tropical weddings and corporate events. As of September 1st, 2016, the Zika virus appears to be spreading rapidly in Singapore, with 115 confirmed cases as of Wednesday, according to government officials. At least one pregnant woman is among them. And a woman from Malaysia who had recently been in Singapore has tested positive for the infection, Singapore's health minister announced Thursday. "Zika is present in our country. New cases will continue to emerge," he posted on his Facebook page. Here are five tips for event planners when planning events that could be affected by the outbreak. In Puerto Rico, where the epidemic has pushed the U.S. government to declare a public health emergency, the industry has confronted the situation proactively. Meet Puerto Rico, which promotes the destination for meetings, conventions, trade shows, and incentive groups, is addressing the issue with prospective clients. Instead of avoiding the topic, Meet Puerto Rico distributed Q&As with facts from official health organizations and offered real-time testimonials from clients who hosted events in Puerto Rico in the midst of the outbreak. The organization has reported a 7 percent increase in meetings and conventions business booked for June to August, compared to the same time period in 2015. Since March, it has added 57 new bookings, such as conferences and other events, that will take place through 2017. In Malaysia and Singapore, it is not uncommon for citizens from both sides to attend or organize events in each others countries. Hotels in Miami, which typically have a drop in business during the summer, are offering incentives that extend to the fall, such as discounts on hotel services, free overnight stays, and complimentary valet parking. On Saturday, the monthly Wynwood Art Walk festival took place for the first time since the Wynwood Yard area was shut down from August 2 to August 10 for pesticide spraying. According to the Miami Herald, the event had a “bustling” turnout of local residents and tourists. Businesses in the area received a significant boost because of a “Love for Locals” campaign, which had more than 25 Wynwood businesses—including Wynwood Diner, Coyo Taco, and Zak the Baker—giving discounts or freebies. The issue needs to be front-of-mind for event planners, and not just those based in affected areas. ANY UPDATES TO SHARE? LEAVE YOUR COMMENTS BELOW.